NSR Eastern Passage Open Two Weeks Earlier than Last Year Global Ice Center Predicts NSR to Remain Open for Six Weeks – Weathernews Inc. The Global Ice Center at Weathernews Inc.（HQ: Chiba, Japan; RMD: Chihito Kusabiraki）has announced on August 22nd that the Northern Sea Route (NSR) bordering Russia is now open to commercial shipping traffic as of August 21st, 2014. This is two weeks earlier than last season when lower than average temperatures resulted in slow pace of melting in the Arctic Ocean. Last summer, the northeastern passage opened at the beginning of September. Meanwhile large areas of sea ice still remain in the northwestern passage along the Canadian coast. Based on analysis of satellite images by the Global Ice Center (GIC), ice experts at Weathernews predicts this too should melt away by early September, thus opening the other passage for vessels. 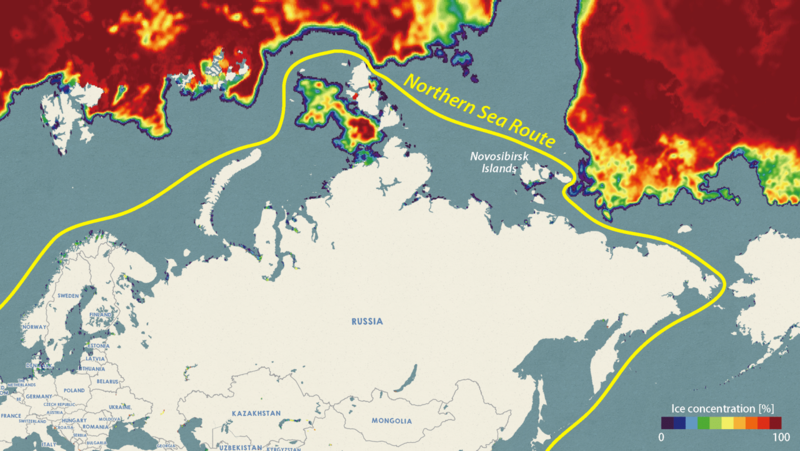 The NSR has been in use by vessels escorted by Russian icebreakers since late June. 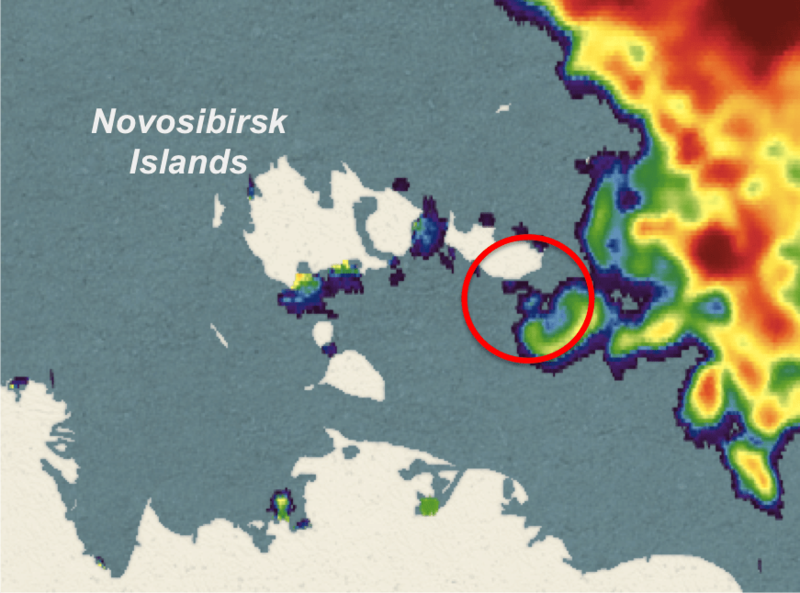 However, enough ice has melted north of the New Siberian Islands (Novosibirsk) to allow vessels to pass through the region with minimal risk of collision from now until early October, according to Weathernews’ Global Ice Center. Use of the NSR by the shipping industry as cost-saving alternative route continues to grow in recent years. Weathernews established the Global Ice Center in 2008 provided enhanced voyage planning services to the shipping industry. The Japan-based company calls the ice advisories it provides to vessels sailing the Arctic and other icy areas, Polar Routeing Service. 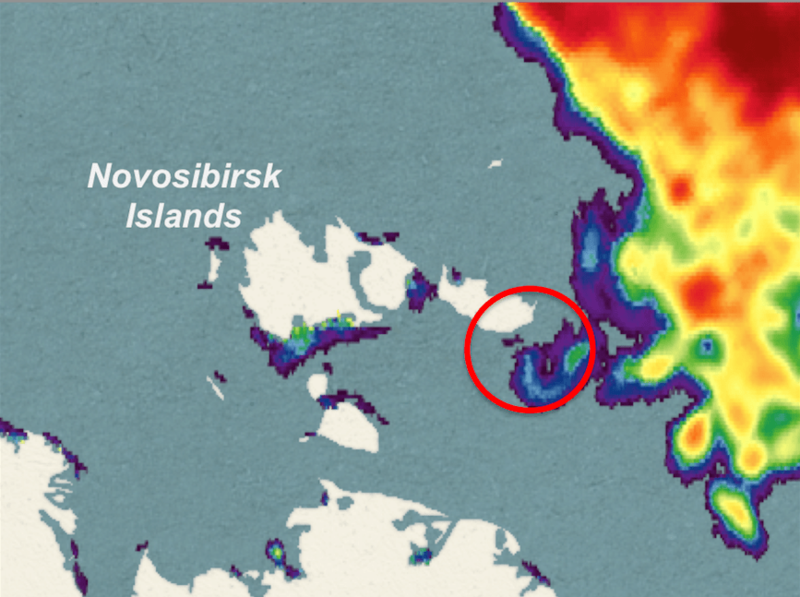 Northeastern passage clear of sea ice north of the Novosibrisk (New Siberian) Islands. The shipping industry has been eager to adopt the Northern Sea Route as an alternative to the Panama and Suez canals in order to save voyage time and operating costs. As a result, the need for more detailed and accurate information on conditions in the Arctic Ocean has been increasing over the last few years. The Voyage Planning team and Global Ice Center at Weathernews have been answering these needs since 2011 with Polar Routeing Service. For the past two open seasons, Polar Routeing Service has supported about twenty voyages via the NSR. Most of these have sailed through the northeastern passage on the Russian side. However last year Weathernews provided Polar Routeing support service to the first ever voyage in modern maritime history via the Northwestern passage along Canada. Through Polar Routeing, shipping companies operating voyages through icy waters get briefings from Risk Communicators at Weathernews other digital content that covers maritime weather conditions expected on the voyage including wind speed/direction, wave height, air pressure and sea temperature in addition to information concerning the distribution and thickness of ice from the Global Ice Center. Currently, Weathernews plans to enhance support for safe voyages through the Arctic with data from their own compact satellite, WNISAT-1R. The new satellite is scheduled for launch next summer to monitor conditions along the NSR.